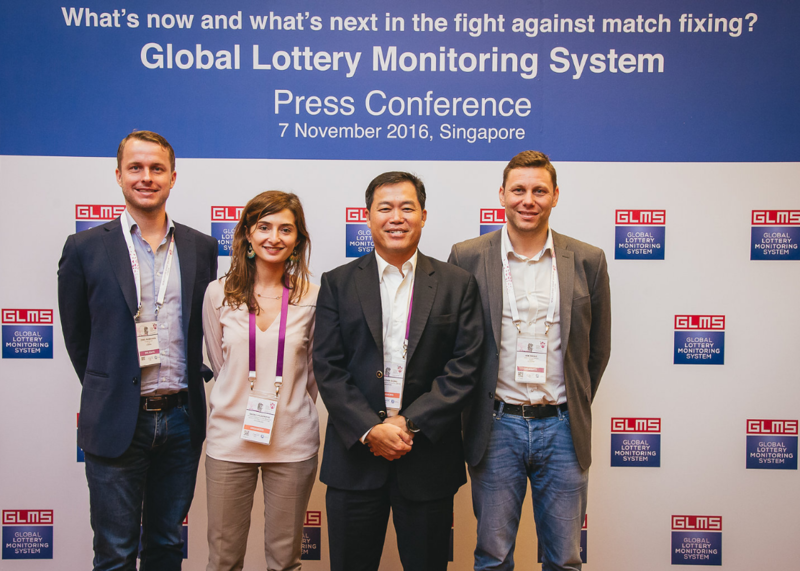 Sports betting monitoring was very high on the agenda of the 2016 World Lottery Summit (WLS) hosted in Singapore on 6th-9th November. As part of the WLS GLMS held its General Meeting, where GLMS Members had the chance to discuss the future of the association, how to further enhance and tailor the tools and technical solutions used and how to further strengthen the organisation chart. Most importantly, two new Members joined the cooperation: the China Sports Lottery Administration, one of the biggest sports betting operators in the world, and the Israel Sports Betting Board (ISBB).In addition to the GLMS General Meeting, a dedicated GLMS panel followed by a press conference gave the opportunity to all stakeholders to better understand the specific value of such a mutualized surveillance and sharing of information system within the state lotteries community. World-class sports integrity experts, like Christian Kalb and Chris Eaton, as well as Head of Integrity in Sports of INTERPOL, Daniela Giuffré, engaged in an interactive discussion on the added value of monitoring of betting patterns and the importantce of GLMS.Seah Chin Siong, CEO of Singapore Pools and GLMS President states: “Being in Singapore on the occasion of the World Lottery Summit is a unique opportunity for GLMS to raise awareness on its efforts in fighting match fixing worldwide. With the precious addition of two significant operators, GLMS now counts 29 Members world-wide, and will further enhance the efficiency of its operations. GLMS is the only monitoring system comprising sports betting operators from all parts of the globe. We will continue and increase our efforts to have a tremendous contribution to the on-going fight against match-fixing and favour the expansion of our active hub on the Asian continent”.